Disaster comes in all shapes & sizes and regardless of its magnitude, can totally take you by surprise. We don’t always need a natural calamity to identify the disastrous situation we’re in and sometimes just a blown out tire or punctured wheel might be enough to screw your day. Yes driving a car can be a big pain in the neck, especially when we calculate the amount of maintenance it takes to stay in shape. But that doesn’t mean you cannot enjoy driving your vehicle under the sunny skies. No matter how carefully you drive your vehicle, it will require regular maintenance. 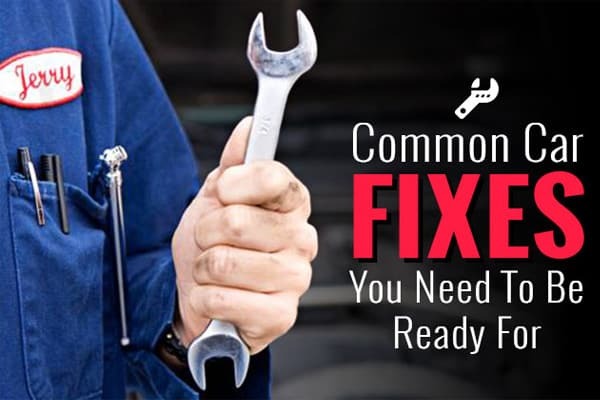 So all you need to do is keep a close eye on the most common repairs and fixes, while making sure that these components never give you any unpleasant surprises. If you also feel extremely scared of your vehicle giving you any unexpected shockers, make sure you keep a close check on the following fixes and repairs for your car. Of all the parts on your vehicle, the tires take the most abuse and it shouldn’t come off as a surprise if you need to replace them more often than other parts. Tires can be quite expensive, depending on the rim size and the quality. Usually, a new set of wheels can last for a good 2-4 years depending on the wear and tear they go through. Even if you find any small incisions on your tires, do not ignore as these can later cause the tires to burst at unexpected times. 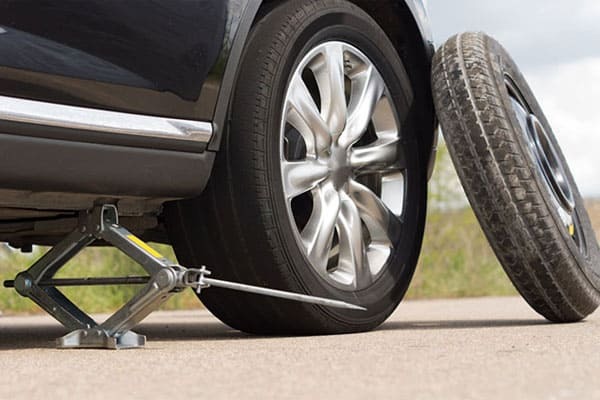 Uneven roads and potholes not only damage your vehicle’s suspension but can also cause bends in the rims, which can further increase the load on your pockets by a significant amount. Maintaining optimal tire pressure, appropriate check & filling process are also important to ensure maximum tire life. Timing belts usually do not require frequent changing. But when they do, your pockets will let you know. For those who do not know the role of a timing belt in a car, it is simply a toothed chain (or rubber/kevlar belt in most cases) that helps the camshaft and crankshaft remain in sync. 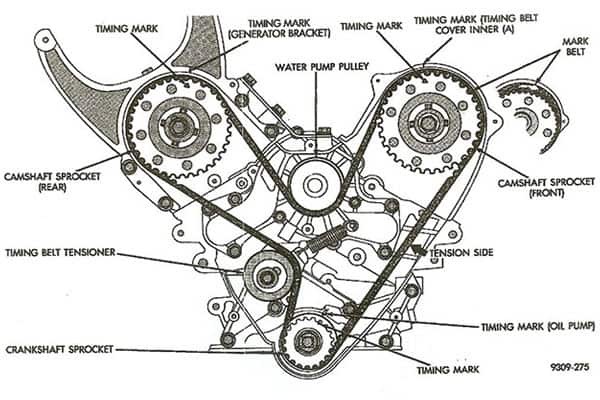 The average lifespan of a timing belt is usually 30,000-50,000 kms after which it requires replacing. Timing belts are specifically designed for each specific model and any incompetence in replacing can result in a definitive engine failure. When replacing the belt, it is always better to simultaneously replace the tensioners to ensure optimal performance. Potholes and broken roads can not only wreak havoc on your spine but can also do a significant damage to your car’s suspension. 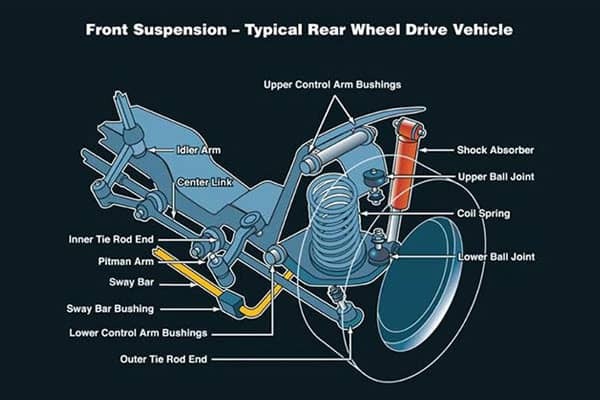 Although the suspension is designed to withstand a lot of pounding from the roads, it still requires regular tuneups and servicing. Although the components will not wear out before you’ve driven thousands of miles, but smaller parts such as bearings, tie-rod ends and bushings will require some degree of maintenance and possible replacements. Effective braking is the most essential safety feature that keeps your vehicle from becoming a large sized speeding bullet or a steel trap. Despite the most advanced safety features on your car, there will be no protection from a possible collision if your car’s brakes don’t work properly. 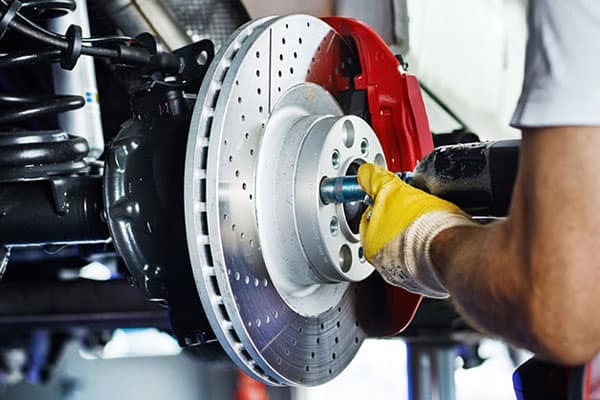 Make sure that you keep a regular check on your car’s brake shoes and replace them on a regular basis. Worn out brake shoes can be an expensive affair but is something that you certainly cannot avoid if you want a safe drive. Batteries usually last from 4-6 years, with regular charging at the service station. After this time you will need to replace it with a new one. 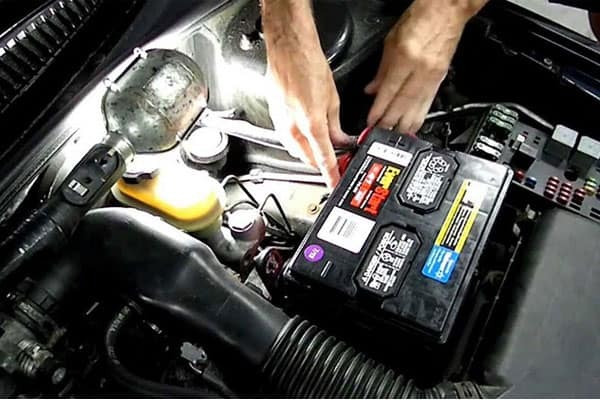 Leaking acid from old batteries may not only damage the insides of your cars but can also become a major health hazard for the owners and handlers. Old batteries might also result in a car that refuses to start in cold or moist weather, leaving you at the mercy of towing companies. So if you want to avoid such nuances, it is always better to replace the car batteries once they’ve run their course. Your entire vehicle is nothing less than a major investment and you need to stay on your toes if you do not want to be slowed down by a car that won’t start. Hence, it is essential that you follow the above tips to ensure that your beloved vehicle doesn’t put you in a fit of rage. Meanwhile, explore car maintenance myths if you are worried about car maintenance and fed up of being fooled by local mechanics.